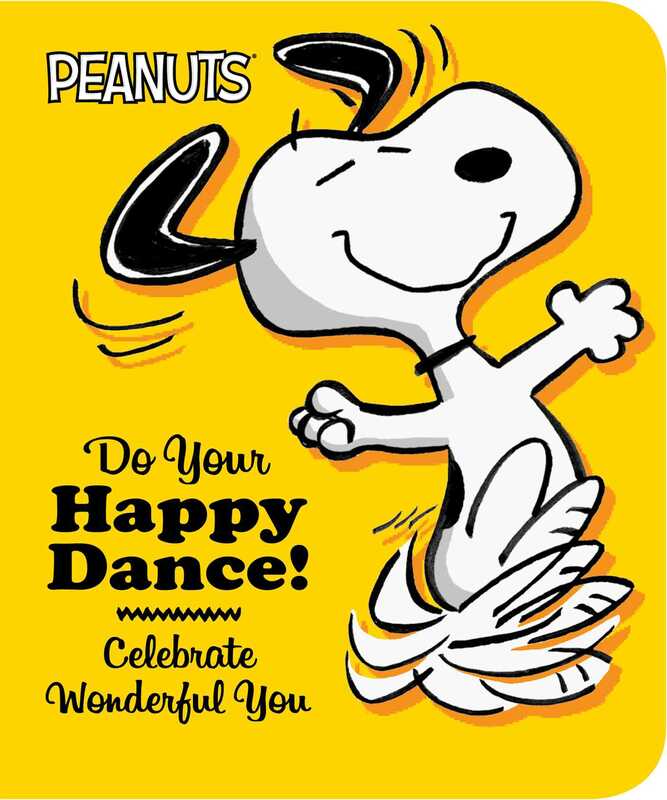 Dream big, try your best, then do your happy dance with Snoopy and the Peanuts gang in this uplifting board book that’s perfect for gift-giving! you went for that kick…when you knew you might fall! you kept your eyes set on that hint of blue sky. This day is your day…and this dance is your dance! It’s not always easy to achieve your dreams, study for a test, or score a goal: just ask the Peanuts. But Charlie Brown tries again and again to kick that football and Snoopy never stops believing his doghouse will take flight. Whether you fall or fly, win or lose, if you’ve tried your best…do a happy dance! Having a can-do attitude, working hard, and refusing to give up—even if someone calls you a blockhead—is the biggest accomplishment of all! This special board book is the perfect gift for graduates of all ages—and for anyone who needs a little inspiration to put on their dancing shoes! Book Cover Image (jpg): Do Your Happy Dance!